Home Blog Leasing SONY SALE ! At the minute, HardSoft are offering a sale on Sony Vaio laptops, with up to a THIRD off lease normal three year prices! HardSoft Computers specialise in Flexible Finance options for all PC and Apple Mac equipment. With brands such as Apple, HP, Lenovo, Sony, Toshiba and many more we certainly can offer you any lease package that will fit your business needs! The first Sony notebook in our sale is the Sony Vaio Z21. This is a 13.1” LED Notebook with a Dual Core i5 processor, 4GB RAM, Windows 7 Professional AND a 128GB Sold State Drive! This would usually cost you £9.80 + VAT per week on lease from HardSoft. However, in the SALE this machine will cost you just £6.60 + VAT perk week This will still come with a full 3 year warranty through HardSoft and telephone technical support! The Sony Vaio SB3 is the second PC laptop in our Sony Sale. This is again a 13” LED Notebook. It is slightly lower in spec than the Z21 but is perfect for everyday business use. With a Dual Core i3 processor, 500GB Hard Drive 4GB RAM and Windows 7 Professional; the SB3 would cost you only £4.65 + VAT per week compared to its original lease price of £6.90 + VAT per week! Again, this will come with a full 3 year warranty! 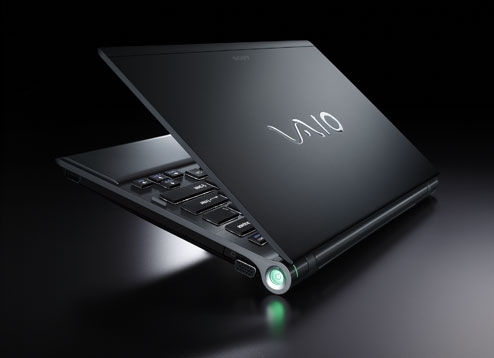 The third and final laptop in HardSoft’s Sony Sale is the Vaio F23. This is by far the best machine in our sale with an amazing Quad Core i7 processor, 8GB RAM, 2GB Graphics and a 16.4” LED Full HD Display! This is a really ‘powerhouse’ of a laptop and is perfect for the creative professionals of the world! Now, usually this would cost you £14.50 + VAT per week on lease; but again, this is in the Sony Sale and will now just cost you £9.80 + VAT per week!